Isolation is a silent killer. That's the conclusion of a study that assessed the effects of woodland clearing on squirrel gliders--the Australian equivalent of the flying squirrel. 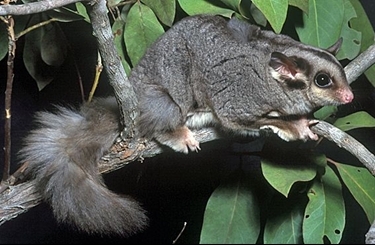 Writing in the journal PLoS One, Ross Goldingay and colleagues found evidence of intense inbreeding in squirrel gliders in forest patches in Queensland that had been isolated by roads and other clearings around 30 years ago. Although the squirrel gliders persisted in some forest patches, their genetic signatures indicated they were completely inbred. Inbred animals often suffer a loss of vigor, health and breeding success, rendering their populations much more prone to local extinction. Movements of squirrel gliders are evidently impeded once clearings exceed 50 meters in width, the study suggests. The findings underscore the importance of maintaining habitat connectivity for wildlife. A failure to heed such lessons will doom many species to eventual extinction, the study concludes.